Lyft Prime Time Toronto, How Prime Time Works? Probably you have heard of Uber Surge. In fact Lyft Prime Time is same as Surge pricing in Uber. When demand of rides increase and there are not enough drivers are available to accept all these rides, so Lyft start prime time in the area. In other words start surging the specific area. When Lyft Prime time is in effect, Riders pay more fare and Drivers make more money. Lyft Prime Time 75-200% in City of Toronto and GTA areas. Why Lyft Prime Time Start? The practice of surging the particular area, there are two main reasons. First Lyft want to more drivers to go online. So it is motivation for drivers to go online and start driving. In fact many drivers go online, when they see Lyft Prime Time is active. Because they will get surge fare price along normal fare. Moreover other reason for surging the area is, riders will not have to wait long when they request for ride. Although rider will pay more than usual fare or they can wait till fare prices go back to normal. In fact Lyft drivers make more fare when they drive during Lyft Prime Time. If you are Lyft driver of downtown Toronto then you will get rides with Prime Time. Furthermore if you drive also during rush hours, you will also hit the prime time pricing. Lyft Prime Time also can fluctuate frequently, surge rate could be vary in each area and depend on demand. Sometimes prime time prices go down very quickly, because many riders decided to wait till fare prices to go back to normal. But if prime time is because of bad weather, rush hours and special event it will stay there for long time. You can increase you earnings when you accept many rides with prime time. When you get ride request, you will see Prime Time rate on the Ride Accept Screen for each and every ride. If you don't see prime time rate, its mean the rider is out of prime time area. In fact it happened sometime while you are in prime time zone, but you get ride request out of prime time zone. Tip: If prime time is very high such in those images above, you may skip the ride that comes without prime time, most probably you will get next ride with prime time rate. As we know that Uber surge price is calculated with fare multiply with surge multiplier. On the other hand prime time is calculated with fare plus percentage of prime time. Although Lyft prime time can range from 10% to 200% and more. Therefore to calculate your earning per ride depend on percentage of prime time and fare. For instance, a normal fare ride when you earn $20 will be $40 with 100% prime time rate added. If prime time is 200% then it will be $60. With Prime Time $15 ride can go up to $40 and more if rate is high. 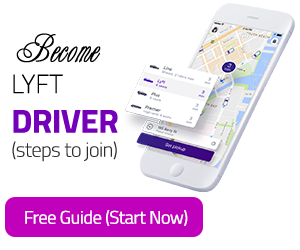 If you like to become Lyft driver in Toronto, Steps to become Uber Driver in Toronto. Moreover besides prime time, there are other ways to maximize your Lyft earnings. Such as Lyft rider referral bonus, Lyft driver signup bonus, Lyft Streak Bonus.